Benoit is responsible for Finance, Legal, IT, and the Strategic Project Office. Since joining in 2012, he orchestrated the transformation of Criteo from a private to public company and drove the execution of the IPO on NASDAQ in October 2013. He previously served as CFO and senior finance roles at SAP and Business Objects. He holds an MBA from INSEAD, a post graduate degree in Finance (DESS) from Université Paris Dauphine and a diploma from the ESLSCA Graduate School of Business in Paris. As Chief Operating Officer, Mollie leads all global commercial teams - revenue, supply, operations and marketing. Mollie joined Criteo in 2014 as Chief Revenue Officer and was instrumental in growing the company to a nearly $2 billion business that sustains a customer retention rate of 90%. Most recently she was honored as Working Mother of the Year in advertising, received a Silver Stevie award for "Female Executive of the Year", and was ranked one of the most powerful woman in mobile advertising by Business Insider. Before Criteo, Mollie served in executive roles at Millennial Media, Yahoo, Advertising.com/AOL and Time Warner. Dan joined Criteo in 2013 and leads all engineering and production. He has successfully scaled our world class R&D team enabling our successful IPO and has set the stage for long-term growth. Prior to Criteo, he worked at Google, Microsoft and Hewlett-Packard, and co-founded two companies in the Bay Area, one of which was acquired by Microsoft. He has an MS and PhD in Computer Science from Stanford University, and is an inventor on close to 50 patents. As General Counsel, Ryan oversees Criteo’s legal, data privacy and government relations functions. Ryan joined Criteo in 2018 to lead Criteo’s mission to shape the future of compliance and help drive business expansion. 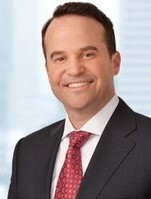 Prior to Criteo, Ryan served as SVP and General Counsel at Riverbed Technology, and also held senior legal roles at Charles Schwab and Gunderson Dettmer. He has a Juris Doctor from the University of California, Hastings College of the Law.